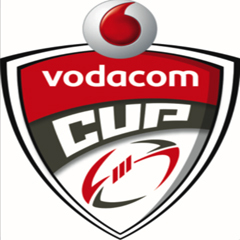 Johannesburg - The Cell C Sharks XV continued their poor start to the Vodacom Cup season by suffering a second loss in three games when they went down 18-35 (11-13) to the Toyota Free State XV in their South Section encounter at Kokstad Rugby Club on Saturday. According to the supersport.com website, Vincent Jobo scored two tries in six minutes as the Toyota Free State XV stunned the Cell C Sharks XV with a 35-18 (13-11) Vodacom Cup victory at the Kokstad Rugby Club on Saturday afternoon. The big No 8 crossed either side of the hour, adding to a first-half score from outstanding full-back Coenie van Wyk and a late effort by Shaun Venter to secure the bonus-point win. Van Wyk scored an impressive 20 points in total, two more than the Sharks XV managed between them, as the men from Bloemfontein leapfrogged their hosts to climb to third on the South Section log. The Durbanites, who have now lost two of their opening three matches, started out okay thanks to an early penalty by Innocent Radebe. That was the only time they lead in the opening 40 minutes with Cheetahs number 15 Van Wyk then turning on the style to score the opening try, followed by the conversion and a penalty in warm Kokstad conditions. The Sharks responded with a try of their own courtesy of eighthman Daniel du Preez, before Van Wyk and Radebe exchanged three-pointers to leave the gap at two heading into the interval. Ten minutes into the second half, the Sharks went ahead again when flank Khaya Majola crossed the whitewash. But those proved the final points scored by the home side. Jobo's double handed the Cheetahs the lead, before Venter crossed for a converted try with six minutes to play as the visitors made it two wins from three. Toyota Free State XV35 (13): Tries: Vincent Jobo (2), Coenie van Wyk, Shaun Venter. Conversions: Van Wyk (3). Penalties: Van Wyk (3).